We give you access to your site at the highest levels, including a tutorial video with how to remove any trace of “us” if you feel necessary. Read full details in our Terms and Conditions. What if I have lots of questions? With your membership, you have access to our extensive library of WordPress tutorial videos and a growing collection of solutions to questions we’ve been posed. Don’t see what you need? 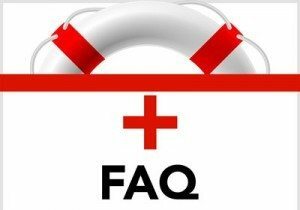 Send us an email and we can customize an answer for you using your Personal Help allowance. What do you mean by a “Site Restoration”? If something goes horribly wrong with your site or your hosting, we take the Backup we’ve made of your site and load that up to your hosting. It’s like we’ve taken a good snapshot in time and can restore your site back to what it looked like when everything was smooth sailing. What happens with the Backups you create? We store all Backups on a separate and secure server, in addition to keeping a copy on your own hosting for redundancy. They are replaced on a weekly or monthly basis with new updates so you are always just a short time away from restoring your site. What can I use my personal help time for? We can answer your questions, or even take care of the task for you. Screenshare is super-efficient and allows us to take what's in your mind and get it out onto the Web. What if I didn’t use my time? Plans come with all the time up front and your minutes can be used at any time throughout the year. All minutes must be used from 365 days of date of purchase. If you have our LifeRaft plans, site restoration will cost $100. This is included in the Helicopter plans. If you require additional help beyond the personal time that comes with your plan, our rates are $75 per half hour, with a half hour minimum. As a new member benefit for 2015, we now offer our members 10-20% off all time and products as a thanks for their loyalty. Once we look at your site, we may determine that we need to perform additional tasks to bring it up to date. We will notify you in advance of these charges and do our best to keep time to a minimum. Hosting is not included in the UltimateWPHelp membership, but can be purchased for a nominal $160/ year charge with any level of membership if you wish. To begin, purchase hosting with your annual plan by looking at the membership levels here. For easy, fast Domain Registration, from an ethical company, we recommend NameCheap. Let us know if we can help you through it. Want to know something else? Why not look at How This Works? Check back or send an email to help @ UltimateWPHelp.com with your questions. Schedule an Intro call, Free Site Review or Personal Help Time! Just click below. PLEASE NOTE: We are currently booked up for site design 1 month in advance. We highly recommend you schedule your initial consult as soon as you can if you are interested in getting into our queue. For ongoing maintenance work, we can begin asap.